The official match ball, the "Telstar 18", was unveiled 9 November 2017. It is based on the name and design of the first Adidas World Cup ball from 1970. A special red-coloured variation, "Telstar Mechta", was used for the knockout stage of the tournament. The word mechta (Russian: мечта) means dream or ambition. Goalkeepers noted that the ball was slippery and prone to having unpredictable trajectory. In addition, two Telstar 18 balls popped in the midst of a first-round match between France and Australia, leading to further discussions over the ball's performance. On 29 May 2018, Electronic Arts released a free update to FIFA 18 that added content related to the 2018 FIFA World Cup. The expansion included a World Cup tournament mode with all teams and stadiums from the event, official television presentation elements, and World Cup-related content for the Ultimate Team mode. On 3 June 2015, the FBI confirmed that the federal authorities were investigating the bidding and awarding processes for the 2018 and 2022 World Cups. In an interview published on 7 June 2015, Domenico Scala, the head of FIFA's Audit And Compliance Committee, stated that "should there be evidence that the awards to Qatar and Russia came only because of bought votes, then the awards could be cancelled". Prince William, Duke of Cambridge and former British Prime Minister David Cameron attended a meeting with FIFA vice-president Chung Mong-joon in which a vote-trading deal for the right to host the 2018 World Cup in England was discussed. In response to the March 2018 poisoning of Sergei and Yulia Skripal, British Prime Minister Theresa May announced that no British ministers or members of the royal family would attend the World Cup, and issued a warning to any travelling England fans. Iceland diplomatically boycotted the World Cup. Russia responded to the comments from the UK Parliament claiming that "the west are trying to deny Russia the World Cup". The Russian Foreign Ministry denounced Boris Johnson's statements that compared the event to the 1936 Olympics held in Nazi Germany as "poisoned with venom of hate, unprofessionalism and boorishness" and "unacceptable and unworthy" parallel towards Russia, a "nation that lost millions of lives in fighting Nazism". The British Foreign Office and MPs had repeatedly warned English football fans and "people of Asian or Afro-Caribbean descent" travelling to Russia of "racist or homophobic intimidation, hooligan violence and anti-British hostility". English football fans who have travelled have said they have received a warm welcome from ordinary citizens after arriving in Russia. At the close of the World Cup Russia was widely praised for its success in hosting the tournament, with Steve Rosenberg of the BBC deeming it "a resounding public relations success" for Putin, adding, "The stunning new stadiums, free train travel to venues and the absence of crowd violence has impressed visiting supporters. Russia has come across as friendly and hospitable: a stark contrast with the country's authoritarian image. All the foreign fans I have spoken to are pleasantly surprised." FIFA President Gianni Infantino stated, "Everyone discovered a beautiful country, a welcoming country, that is keen to show the world that everything that has been said before might not be true. A lot of preconceived ideas have been changed because people have seen the true nature of Russia." 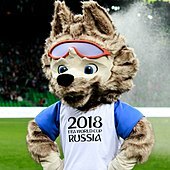 Infantino has proclaimed Russia 2018 to be "the best World Cup ever", as 98% of the stadiums were sold out, there were three billion viewers on TV all around the world and 7 million fans visited the fan fests. FIFA, through several companies, sold the broadcasting rights for the 2018 FIFA World Cup to various local broadcasters. 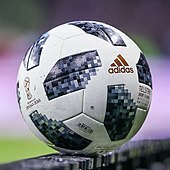 After having tested the technology at limited matches of the 2013 FIFA Confederations Cup, and the 2014 FIFA World Cup (via private tests and public viewings in the host city of Rio de Janeiro), the 2018 World Cup was the first World Cup in which all matches were produced in 4K ultra high definition. Host Broadcasting Services stated that at least 75% of the broadcast cut on each match would come from 4K cameras (covering the majority of main angles), with instant replays and some camera angles being upconverted from 1080p high definition sources with limited degradation in quality. These broadcasts were made available from selected rightsholders and television providers. Broadcast rights to the tournament in the Middle East were hampered by an ongoing diplomatic crisis in Qatar, which saw Bahrain, Egypt, Saudi Arabia, and the United Arab Emirates cut diplomatic ties with Qatar—the home country of FIFA's Middle East and Africa rightsholder beIN Sports—in June 2017, over its alleged state support of terrorist groups. On 2 June 2018, beIN pulled its channels from Du and Etisalat, but with service to the latter restored later that day. Etisalat subsequently announced that it would air the World Cup in the UAE, and continue to offer beIN normally and without interruptions. In Saudi Arabia, beIN was banned from doing business; as a result, its channels and other content have been widely and illegally repackaged by a broadcaster identifying itself as "beoutQ". While FIFA attempted to indirectly negotiate the sale of a package consisting of Saudi matches and the final, they were unable to do so. On 12 July 2018, FIFA stated that it had "engaged counsel to take legal action in Saudi Arabia and is working alongside other sports rights owners that have also been affected to protect its interests." In the United States, the 2018 World Cup was the first men's World Cup whose English rights were held by Fox Sports, and Spanish rights held by Telemundo. 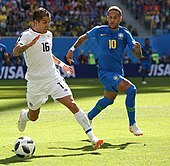 The elimination of the United States in qualifying led to concerns that US interest and viewership of this World Cup would be reduced, noting that "casual" viewers of U.S. matches caused them to peak at 16.5 million viewers in 2014, and how much Fox paid for the rights. During a launch event prior to the elimination, Fox stated that it had planned to place a secondary focus on the Mexican team in its coverage to take advantage of their popularity among Hispanic and Latino Americans. Fox stated that it was still committed to broadcasting a significant amount of coverage for the tournament. Viewership was down overall over 2014, additionally citing match scheduling that was not as favourable to viewers in the Americas than 2014 (with many matches airing in the morning hours, although Telemundo's broadcast of the Mexico-Sweden Group F match was announced as being its most-watched weekday daytime program in network history). ^ a b "Ethics: Executive Committee unanimously supports recommendation to publish report on 2018/2022 FIFA World Cup bidding process" (Press release). FIFA. 19 December 2014. Archived from the original on 29 March 2015. ^ Morrin, Siobhan (13 June 2018). "Your Ultimate Guide to Watching the 2018 World Cup". Time. Archived from the original on 14 June 2018. Retrieved 20 June 2018. ^ a b "Непредвиденные расходы: как менялась смета ЧМ-2018". rbc.ru (in Russian). 8 June 2018. Archived from the original on 13 June 2018. Retrieved 16 June 2018. ^ "What is VAR, what are the rules, and how is it being used by FIFA for World Cup 2018 in Russia?". The Telegraph. 11 July 2018. Archived from the original on 10 July 2018. Retrieved 11 July 2018. ^ Campbell, Paul (22 May 2018). "Will VAR improve the World Cup?". The Guardian. Archived from the original on 18 June 2018. Retrieved 27 June 2018. ^ "Russia united for 2018 FIFA World Cup Host Cities announcement". FIFA. 29 September 2012. Archived from the original on 13 November 2013. Retrieved 13 November 2013. ^ Goff, Steve (16 January 2009). "Future World Cups". The Washington Post. Archived from the original on 30 April 2011. Retrieved 16 January 2009. 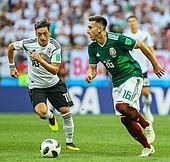 ^ "Mexico withdraws FIFA World Cup bid". FIFA. 29 September 2009. Archived from the original on 30 April 2011. Retrieved 10 February 2011. ^ "Indonesia's bid to host the 2022 World Cup bid ends". BBC. 19 March 2010. Archived from the original on 20 March 2010. Retrieved 19 March 2010. ^ "England miss out to Russia in 2018 World Cup Vote". BBC News. 2 December 2010. Archived from the original on 3 December 2010. Retrieved 2 December 2010. ^ Doyle, Paul; Busfield, Steve (2 December 2010). "World Cup 2018 and 2022 decision day – live!". The Guardian. London. Archived from the original on 26 December 2016. ^ Gordon, Aaron (27 June 2017). "What We Know About Corruption in the 2018 And 2022 World Cup Bids". vice.com. Archived from the original on 15 January 2018. Retrieved 31 May 2018. ^ "Michael Garcia: FIFA investigator resigns in World Cup report row". BBC. 17 December 2014. Archived from the original on 15 January 2016. Retrieved 17 December 2014. ^ "Former FA chairman David Bernstein calls for 2018 World Cup boycott". The Guardian. 17 November 2014. Archived from the original on 26 April 2018. Retrieved 31 May 2018. ^ "Qatar World Cup organizers ready to fight for 2022". Reuters. 3 June 2015. Archived from the original on 26 April 2018. Retrieved 31 May 2018. ^ "Road to Russia with new milestone". FIFA. 15 January 2015. Archived from the original on 21 March 2015. ^ "Zimbabwe expelled from the preliminary competition of the 2018 FIFA World Cup Russia". FIFA. 12 March 2015. Archived from the original on 16 November 2017. ^ "Indonesia excluded from 2018 World Cup qualifiers". Reuters. 3 June 2015. Archived from the original on 1 March 2016. ^ "Kosovo & Gibraltar become eligible for 2018 World Cup Qualifying". Russia: RT. Archived from the original on 9 June 2016. Retrieved 14 May 2016. ^ a b "2022 FIFA World Cup to be played in November/December". FIFA. 20 March 2015. Archived from the original on 12 November 2017. ^ "Current allocation of FIFA World Cup confederation slots maintained". FIFA. 30 May 2015. Archived from the original on 16 November 2017. ^ "Long road to Russia begins in Dili". FIFA. 11 March 2015. Archived from the original on 16 November 2017. ^ "FIFA World Cup Preliminary Draw: 1 week to go". FIFA. 18 July 2015. Archived from the original on 16 November 2017. ^ "Organising Committee for the FIFA World Cup extends its responsibilities to cover 2018 and 2022". FIFA. 19 March 2013. Archived from the original on 18 October 2014. 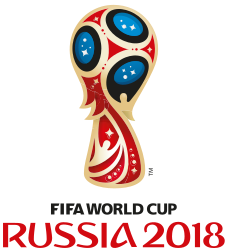 ^ "Konstantinovsky Palace to stage Preliminary Draw of the 2018 FIFA World Cup". FIFA. 10 October 2014. Archived from the original on 31 December 2014. ^ T.A.W. (12 November 2017). "How Iceland (population: 330,000) qualified for the World Cup". The Economist. Archived from the original on 13 November 2017. Retrieved 13 November 2017. ^ "In first, 4 Arab countries qualify for FIFA World Cup Finals". The Times of Israel. 12 November 2017. Archived from the original on 13 November 2017. Retrieved 13 November 2017. ^ Reineking, Jim (12 June 2018). "FIFA World Cup 2018: Notable teams that failed to qualify". USA Today. Archived from the original on 14 June 2018. Retrieved 27 June 2018. ^ "FIFA/Coca-Cola World Ranking". FIFA. 7 June 2018. Archived from the original on 8 June 2018. ^ "Final Draw to take place in State Kremlin Palace". FIFA. 24 January 2017. Archived from the original on 16 November 2017. ^ "Final Draw to take place at 18:00". The Daily Telegraph. 24 November 2017. Archived from the original on 25 November 2017. ^ "OC for FIFA Competitions approves procedures for the Final Draw of the 2018 FIFA World Cup". FIFA. 14 September 2017. Archived from the original on 10 November 2017. ^ "Organising Committee for FIFA Competitions: Updates on the FIFA World Cup and women's tournaments". FIFA. 8 February 2018. Archived from the original on 9 February 2018. Retrieved 9 February 2018. 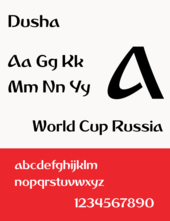 ^ a b c d "Regulations – 2018 FIFA World Cup Russia" (PDF). FIFA. Archived (PDF) from the original on 12 July 2017. ^ "Rest periods for the players on the provisional list for the 2018 FIFA World Cup Russia" (PDF). FIFA. 30 March 2017. Archived (PDF) from the original on 18 April 2017. ^ "2018 FIFA World Cup – Statistical Kit – Referees" (PDF). FIFA. Archived (PDF) from the original on 24 June 2018. Retrieved 11 July 2018. ^ "World Cup 2018 List of video match officials" (PDF). FIFA. Archived (PDF) from the original on 30 April 2018. ^ "World Cup 2018: Referee Fahad Al Mirdasi 'banned over match-fixing attempt in Saudi Arabia'". BBC. 16 May 2018. Archived from the original on 25 May 2018. ^ "FIFA statement on the situation of the Saudi Arabian referee Fahad AL MIRDASI". FIFA. 30 May 2018. Archived from the original on 1 June 2018. ^ "Updated: List of FIFA match officials for the 2018 FIFA World Cup" (PDF). FIFA. Archived from the original (PDF) on 1 June 2018. ^ "Betraying the Game: African officials filmed taking cash". BBC. 7 June 2018. Archived from the original on 10 June 2018. Retrieved 20 June 2018. ^ a b "FIFA Council decides on key steps for the future of international competitions". FIFA. 16 March 2018. Archived from the original on 31 March 2018. ^ "VAR: Video assistant referees set to be used at 2018 World Cup in Russia". BBC Sport. 3 March 2018. Archived from the original on 18 June 2018. Retrieved 27 June 2018. ^ a b MacInnes, Paul (12 June 2018). "How will VAR work at the World Cup and how much is riding on it?". The Guardian. Archived from the original on 18 June 2018. Retrieved 27 June 2018. ^ Belam, Martin (22 June 2018). "VAR at the World Cup: the big decisions, game by game". The Guardian. Archived from the original on 28 June 2018. Retrieved 27 June 2018. ^ Austin, Jack (15 June 2018). "Why Diego Costa's goal against Portugal made World Cup history". The Independent. Archived from the original on 16 June 2018. Retrieved 16 June 2018. ^ "World Cup 2018: History made with first penalty awarded by VAR during France vs Australia". The Independent. 16 June 2018. Archived from the original on 16 June 2018. Retrieved 18 June 2018. ^ "Ronaldo penalty sets new World Cup record". ESPN. 26 June 2018. Archived from the original on 27 June 2018. Retrieved 27 June 2018. ^ McLean, Max (16 June 2018). "12 very different opinions on VAR at the World Cup to help you make your mind up". The Irish Independent. Retrieved 27 June 2018. ^ "FIFA 'satisfied' with World Cup refereeing, VAR". ESPN. 20 June 2018. Archived from the original on 27 June 2018. Retrieved 27 June 2018. ^ "2018 FIFA World Cup Bid Evaluation Report: Russia" (PDF). FIFA. Archived (PDF) from the original on 14 December 2010. Retrieved 10 December 2002. ^ "The border between Europe and Asia". welcome2018.com. Archived from the original on 23 June 2018. Retrieved 23 June 2018. ^ Marikar, Hafiz. "Russia to host next FIFA World Cup". Dailynews.lk. The Associated Newspapers of Ceylon Ltd. Archived from the original on 9 August 2014. Retrieved 23 July 2014. 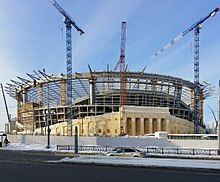 ^ "Почему у России осталось только 14 стадионов к ЧМ-2018 – Известия (Why are there only 14 stadiums for the Russia 2018 World Cup)". 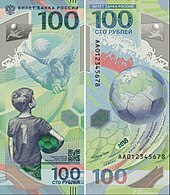 Izvestia (in Russian). 7 October 2011. Archived from the original on 8 October 2011. Retrieved 8 October 2011. ^ "2018 FIFA World Cup to be played in 11 Host Cities". FIFA. 29 September 2012. Archived from the original on 8 July 2014. Retrieved 29 September 2012. ^ Saakov, Rafael (22 July 2014). "Russia 2018: Major challenges for next World Cup hosts". BBC. Archived from the original on 28 July 2014. Retrieved 29 July 2014. ^ Rogovitskiy, Dmitriy (21 October 2014). "Russia on track for World Cup 2018, say FIFA inspectors". Reuters. Archived from the original on 29 October 2014. Retrieved 29 October 2014. ^ "Stadium names for the 2018 FIFA World Cup Russia confirmed". FIFA. 8 October 2015. Archived from the original on 11 November 2017. ^ "World Cup 2018 stadiums: A guide to the venues of this summer's tournament". The Telegraph. 30 May 2018. Archived from the original on 14 June 2018. Retrieved 14 June 2018. 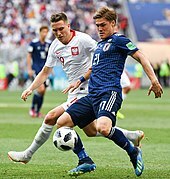 ^ "Стадион на 45000 зрительских мест к Чемпионату мира по футболу в Нижнем Новгороде" [Stadium for 45,000 spectators for the World Cup in Nizhny Novgorod]. stroytransgaz.ru (in Russian). Archived from the original on 30 September 2017. Retrieved 31 May 2018. ^ "Стадион на Крестовском ввели в эксплуатацию". fontanka.ru (in Russian). 29 December 2016. Archived from the original on 20 February 2017. Retrieved 31 May 2018.